Lighting is a very important element in your bathroom. 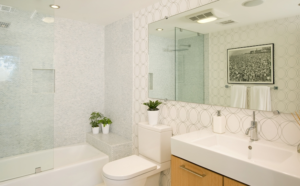 The right kind of lighting fixtures placed properly, can make a small bathroom feel bigger and brighter. Lighting in your bath/shower area can create a more pleasing bathing experience. And of course good lighting that works well with the vanity mirror is always welcome and necessary. 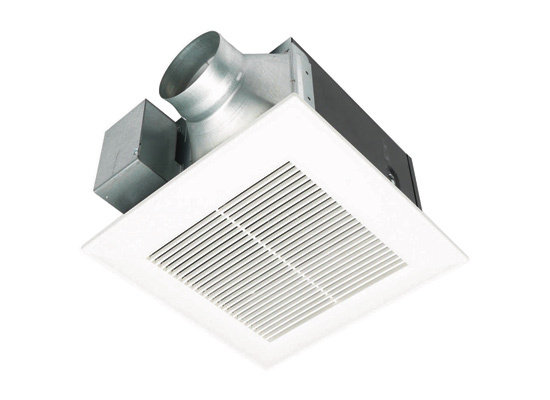 We have used several different brands of bathroom exhaust fans over the years and have selected on Panasonic as the best value. These fans are quiet and are made to last. They are available in a number of different sizes and styles to meet almost any bathroom exhaust fan requirement. Click on the link below to see the entire line of Panasonic Whisper Ceiling fans.